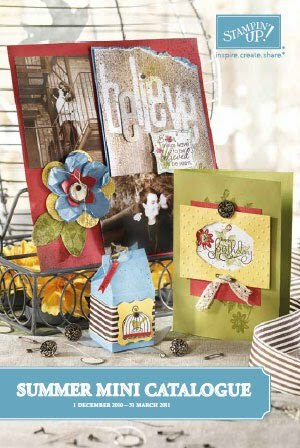 Danielle Daws: The Stampin' Up! Summer Mini Catalogue Has Arrived! The Stampin' Up! Summer Mini Catalogue Has Arrived! The Stampin' Up! Summer Mini Catalogue has arrived! Click on the catalogue to view the catalogue, there are so many gorgeous things to see! Contact me here to place an order.